In a big blow to Bhartiya Janta Party (BJP), sitting Lok Sabha lawmaker from Uttar Pradesh’s Bahraich, who quit the party in December calling it ‘anti-Dalit,’ joined Congress in the national capital on Saturday. Phule joined the grand old party in the presence of Congress President Rahul Gandhi and Priyanka Gandhi Vadra, the party's in charge of eastern Uttar Pradesh and general secretary (west UP) Jyotiraditya Scindia. Also, former Samajwadi Party MP from Fatehpur Rakesh Sachan also joined the party. 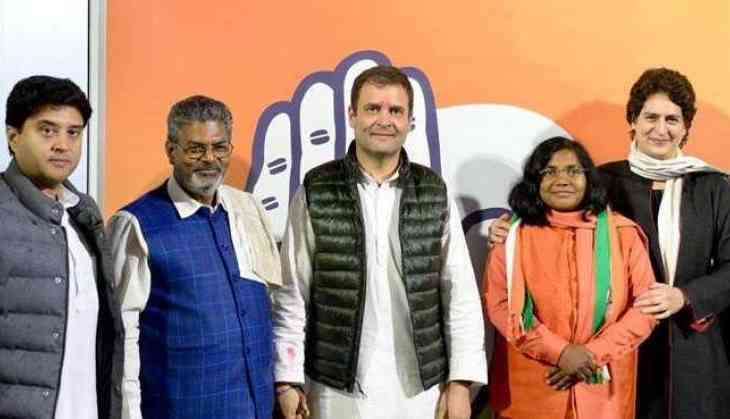 On February 14, BJP MLA Avtar Singh Bhadana had joined the Congress in the presence of Priyanka and Jyotiraditya in Lucknow. “I will travel across the country to tell the people about the BJP’s anti-Dalit policies,” said Phule. When Phule was asked why she did not opt for the SP-BSP alliance, she said that she was looking for various options after deciding to leave the BJP. Phule said she heard Samajwadi Party (SP) patron Mulayam Singh Yadav in parliament when he spoke about PM Modi returning to power in 2019 Lok Sabha polls. “As I want to ensure the BJP’s defeat, I decided to join the Congress. I am sure only Congress can defeat the BJP in 2019 polls,” she said.